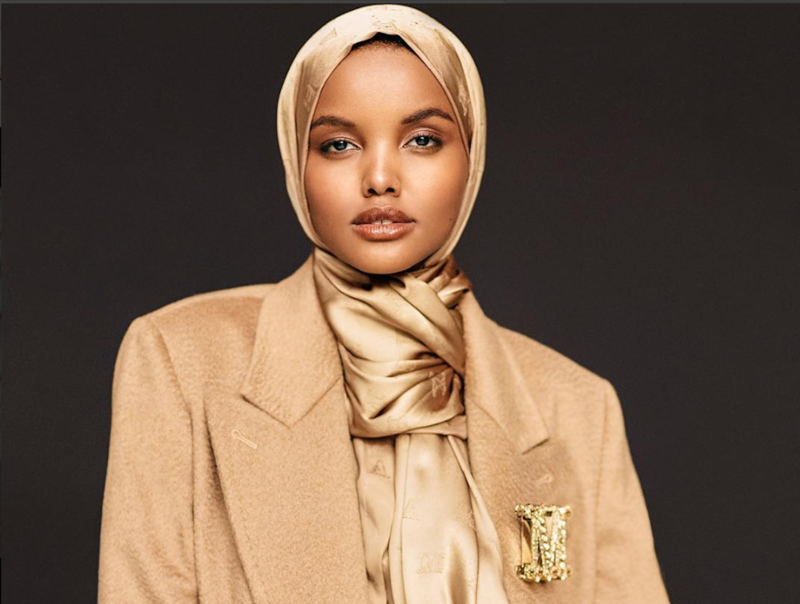 Halima Aden: What Does It Take to Go from Refugee to International Icon? On January 26, 2018, the Muslim Law Students Association (MLSA) at Wayne State University (WSU) hosted a program titled, “From Refugee Camp to Runway,” featuring breakthrough model, Halima Aden. The event was attended by student members of the campus community, eager to learn about how Aden beat all odds on her meteoric rise to international stardom. During the course of this interview, Aden shared her journey from being born in a refugee camp, to walking the runway in cities like New York, and Milan for world-renowned designers. Following her event at Wayne State, I chatted with Halima over an appetizing grilled tempeh wrap, and yam fries, whilst sat at a long wooden table at Detroit Vegan Soul. We discussed the positive energy radiating in the air during her lecture, the ambitious audience members, and lastly, the wide variety of questions asked at the event. Halima is a Muslim Somali-American, who chooses to wear the hijab, simultaneously breaking barriers in the fashion industry as she exemplifies fashion being fluid, and beauty not being tied to one sole definition. Halima said that she is fortunate to have had her story reach so many individuals, especially younger women, not only in the Muslim community, but beyond. Her personal journey is impacting how younger women of minority groups view themselves and their abilities. The bold model hopes that by sharing her story, those women can understand that adversity doesn’t have to stop them. They can be themselves, and still achieve success. Although beauty pageants are not traditionally part of Somali culture, Halima competed for the title of Miss Minnesota USA in the Fall of 2016. She was the first woman to wear a hijab in the Miss USA beauty pageant, and fortunately made it to the semifinals, donning a burkini for the swimsuit portion of the pageant. Halima’s beauty, confidence, and empowering demeanor caught the attention of Ivan Bart, head of IMG, and within weeks, Halima was in talks with the agency to forge a promising career as a model. One thing remains clear though: There is no stopping this young woman’s meteoric rise to the top. #MGAnon: What Does Modesty Even Mean?